Since the news broke late last night about Browns quarterback Johnny Manziel wearing a disguise in Las Vegas over the weekend and going by the name ‘Billy,’ twitter and the internet in general has exploded with pics making fun of the quarterback. 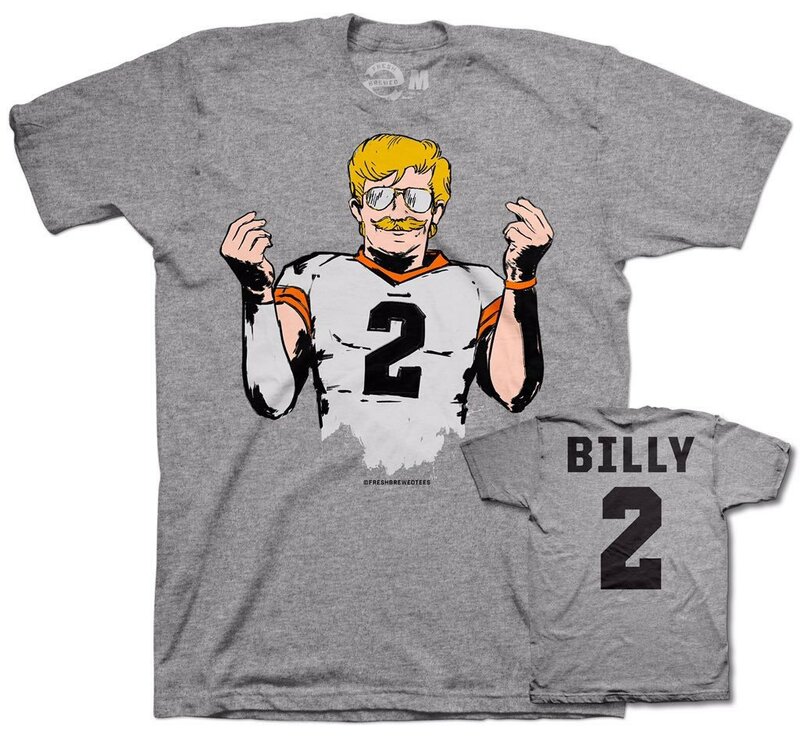 First off is the hottest new t-shirt in Cleveland – showing off Manziel in his new disguise from the folks over at @FreshBrewedTees. Then there’s the tons of awesome photoshops and tweets from folks all around the country on the newest hot sensation – ‘Billy’ Manziel – Enjoy!